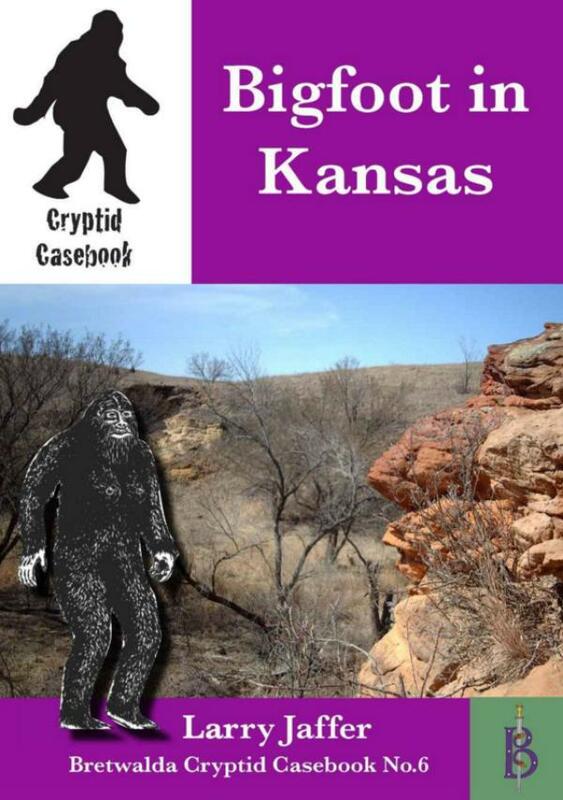 The gigantic upright ape known as Bigfoot or Sasquatch is not usually associated with Kansas, but there have been a surprisingly large number of sightings in that prairie state. On 10 August 2008 a woman was driving by Big John Creek in Morris County in the early morning dawn. As she passed a corn field he saw what she thought was deer and slowed down. When she got close enough to see clearly the creature revealed itself to be a human figure standing nearly 8 feet tall and covered all over in dark brown fur. The creature was holding an ear of corn in its hand and seemed to have been interrupted in the middle of a meal. The woman stopped her car and was trying to decide whether to get out or not, when the careature stepped out of the field, ran across the rod, clearing the road in two gigantic strides, then sprang down the creek bank and splashed over the creek. She later described the creature as "very broad and looking like a no-neck football player wearing shoulder pads. The skin was black covered with dark brown to black hair, about two inches long, and neat though full of weeds. It had a human-like face with a heavy brow, dark eyes and narrow lips. The creature had a noticeably large hand grasping an ear of corn and made direct eye contact before running off."